Traditional monolayer cell culture on plastic dishes or in flasks, rarely recreates the conditions cells experience in vivo. Over the past 20 years, many researchers have actively sought ways to culture cells in 3D. The conclusion reached by many researchers is that there is no silver bullet, each cell type needs a different environment and many biological questions may need specific methods to study them. The AMSBIO guide provides background information on what is 3D cell culture and why researchers are increasingly switching to it. 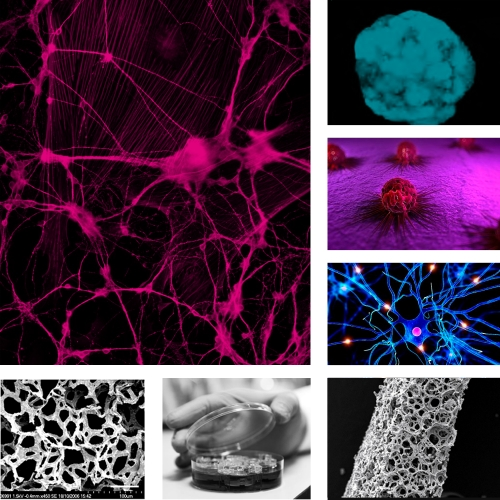 Many types of 3D cell culture matrices for spheroid, organotypic and directional cultures are described in addition to natural hydrogels, scaffold-free cell culturing, artificial scaffolds and synthetic biomimetics. An up-to-date summary details how 3D cell culture techniques are helping to advance cellular research in applications including viability and cytotoxicity, invasion and motility, cell signaling and communication as well as tissue regeneration and stem cell growth and differentiation. An easy-to-use table is included to guide researchers towards the optimal 3D cell culture matrix for different applications. For a copy of this new guide please visit www.amsbio.com/Guide-to-3D-Cell-Culture.aspx or contact AMSBIO on +44-1235-828200 / +1-800-987-0985 or email 3Dcellculture@amsbio.com. AMSBIO offers many matrices and other solutions for 3D culture. The company also offers expert consultative advice and in-house 3D culture services drawing upon AMSBIO's extensive bio-repository to find specific cells or tissues to culture.